As a highly-collaborative clinic, we know the importance of incorporating a variety of techniques depending on a patient’s needs and goals. That includes massage therapy. One provider we are proud to know and work with is Amanda Lundstedt, owner of Active Edge Massage. 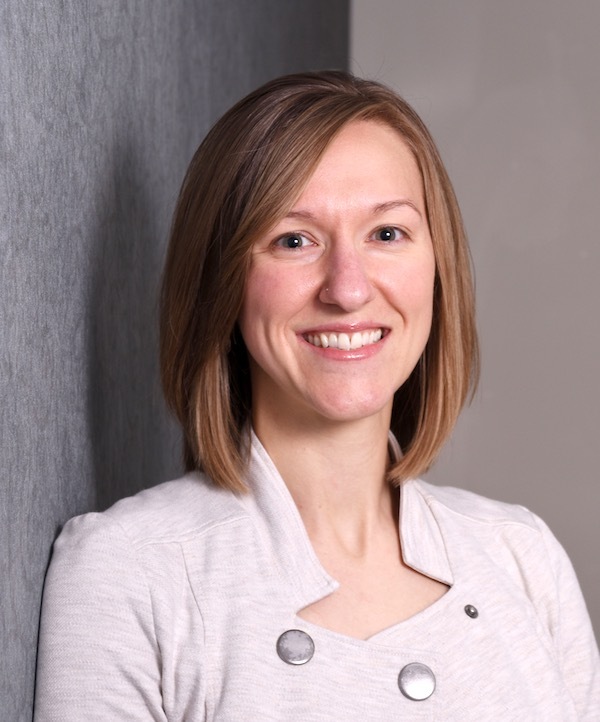 Her focus on sports medical massage healthcare and her vision for expanding her practice bring an exciting energy to her two offices in Greater Des Moines. Here, Amanda shares her story and vision for achieving a long-held professional dream. Tell us a bit about Active Edge. Why did you start this practice? How has it evolved? What is it today? Active Edge is a massage therapy practice in the Des Moines area that specializes in massage healthcare and sports medicine. I founded Active Edge in 2014 at a time I was working as an employed therapist and I was extremely limited and ‘boxed in’ for the type of work and care that I was allowed to do. The quality I was allowed to provided wasn’t the quality and specialized care that I wanted to provide. So I went into private practice. Active Edge began in 2014 with just myself and a single clinic in Clive. We have been fortunate to grow and now maintain two full-service clinics: one in Urbandale and one in Downtown Des Moines, have two full-time therapists and are continuing to grow. Our therapists are all full-time and are passionate about the work that they do and serving Central Iowa by providing outstanding client-centered massage healthcare. Our focus is on quality care, and getting our clients the results that they need. We are a master of one, versus a jack of all trades when it comes to massage therapy. Active Edge specializes in one thing, and we work hard to do it well: sports medical massage healthcare. While there are many massage therapists in Central Iowa, there are few who offer this type of work, let alone specialize their entire practice around it. How does your business help people? We serve our clients by providing treatments that help with chronic pain management, acute pain relief, pre-orthopedic surgery preparation, post-orthopedic surgery recovery, sports injury prevention, and improved athlete performance. Outside of treatments, we also help people by providing wellness information and recommendations. We offer this information by publishings, client-communications, workshops, guest lectures, and seminars. It is the mission of Active Edge to empower our clients to live life to its fullest potential, educate about wellness, and equip to preventatively maintain health and well-being. The vision of Active Edge is to build a healthier lifestyle and improve the quality of life of those we serve. Amanda focuses on sports medical massage healthcare at Active Edge. Truly, I love to serve and I believe very strongly in servant leadership. It truly is my joy, and I also consider it a privilege, to do the the work that I do and have the opportunity to work with our patients every day at Active Edge. What do you love about the Greater Des Moines community? Too many things to list! Seriously, though, I was raised in the Greater Des Moines area (Roosevelt High School and Drake University Alum), left the area for a few years, and then returned to settle my family here. We love all the opportunities it provides, but the thing that I like about it the most is that it still has a small community feel with all the advantages of a big city. We truly have the best of both worlds here. Amanda is an athlete herself, shown here running in the Lifetime Run Race. The big “what’s next” in my professional and personal world is that I am actually in the final stages of my candidacy to become a massage therapist for the United States Olympic Committee Sports Medicine Program. It is one of my dreams, and it is my goal that is coming together, to be one of the massage therapists for Team USA at the 2020 Olympic Games in Tokyo! The next several months will be filled with doing some work as required by the USOC and even traveling to complete an internship. Don’t worry, my practice, clients, and family are all here, so I won’t be going anywhere permanently! Yes! 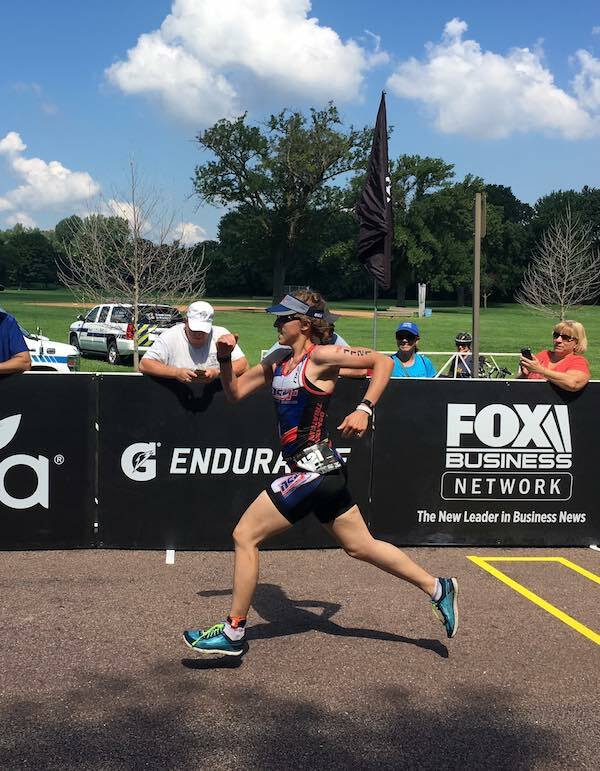 Outside of seeing clients and managing Active Edge, I love spending time with my family, serving through a great variety of boards and causes in the Greater Des Moines area about which I am passionate, and training and competing in triathlons. I am never running out of things to do, but I wouldn’t change it for anything! One of my mantras for life is: “Life is short, serve others and live it well.” I’m not sure who coined, but I do try to live each day with gratitude and abundance.